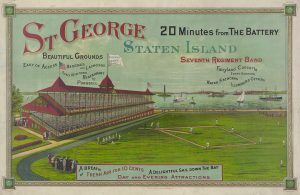 Ad from the Staten Island Amusement Company featuring Saint George, circa 1886. 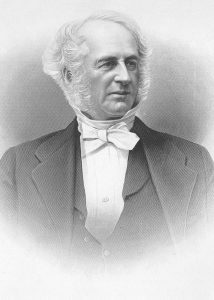 The shipping and railroad empire started by Cornelius Vanderbilt began on Staten Island. Eventually, his son William H. took over with the result that he became the richest man in the world. Both Cornelius and William H. were passionate about succeeding and crushing their opponents. Whether it was greed or the need to be the best, their shrewdness and aggressiveness brought them riches beyond comprehension. 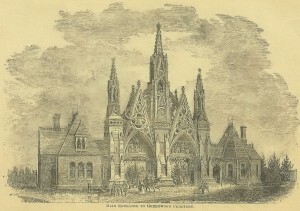 Their legacy and its Staten Island connections will be examined as we discuss the Vanderbilt family lineage, their properties and homes, their connection to the Moravian Cemetery, the Vanderbilt Mausoleum and more. Join us as we honor and celebrate the contributions of several amazing women who lived and impacted the borough. Many of these women encountered challenges, yet persevered to accomplish their goals. We will examine the lives of such influential personalities as Eva Bechtel, Alice Austen, Mary Jane Irwin O’Donovan-Rossa, Elizabeth Gertrude Britton, Dorothy Day, Lois Mosely, Audre Lorde, Catherine “Mac” O’Callaghan, Erin Urban, Elizabeth Connelly and others. 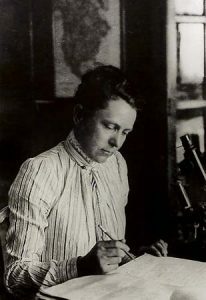 Elizabeth Gertrude Britton, no date. 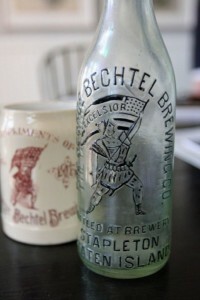 Bechtel beer bottle and mug. Photo – Jan Somma-Hammel. Courtesy of the Staten Island Advance. A surprising number of breath-taking structures have survived on the island. Celebrate the treasures of our built environment as we discuss the Saint George/New Brighton and Saint Paul’s Avenue/Stapleton Heights Historic Districts. Such individual structures as the Baymen’s Cottages at Sandy Ground, the Dr. Samuel Elliott House, Borough Hall, the Church of Saint Andrew’s, the Gustave Mayer House, the Seguine Mansion, the Akerly-Olmsted-Beil House, and the Conference House will also be featured. Landmarked Lake-Tysen House at Historic Richmond Town. Owing to its maritime connections, several devastating accidents have occurred in the waters around Staten Island. 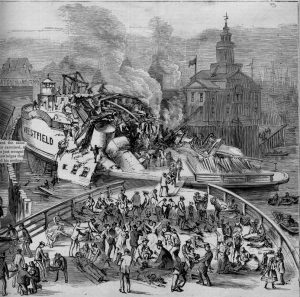 As such we will look at the Vanderbilt Landing bridge collapse of 1852; the sinking of the Mohawk yacht in 1876; the Westfield ferry explosion in 1871, and the Northfield ferry accident of 1901. Inland catastrophes that will be examined include the New Street building collapse of 1937; the mid-air plane collision of 1960; and the LNG tank explosion of 1973. How and why these tragedies occurred, who was responsible, and their ultimate effects on the Staten Island community will be analyzed. Rescuing the “Westfield” survivors after the explosion, 1871. Courtesy of David Goldfarb. Murders and murderers fascinate the public. Some are neatly solved, others are not. This program focuses on several nineteenth and early-twentieth century murders. A Christmas Day fire in 1843, led to the discovery of two bodies with the result that Mary “Polly” Bodine was arrested for murder and arson. A known bootlegger-and suspected police informant-was found shot to death in an abandoned Packard outside of a paint factory in South Beach in 1920. Mrs. Eliza Crane Brannan, daughter of Colonel Ichabod Crane of New Springville, went missing from the Quarantine ferry landing on July 20, 1858. These mostly forgotten murders and mysteries are reminders that Staten Island was the site for a number of seamy events during what was supposedly a bucolic past. Greenwood Cemetery, final resting place of William Wright who was found dead off the Tottenville shoreline in 1891. 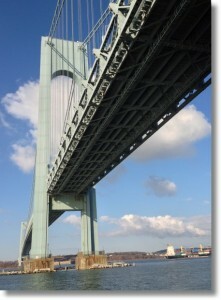 The opening of the Verrazano-Narrows Bridge is considered by many to be the most important event in Staten Island’s history. It resulted in changed demographics and it altered our relationship with the rest of New York City. What was mainly a rural borough was transformed into a “bedroom community” of two family homes, chain stores and vast suburban development. While change is inevitable, the lack of preparation before “The Bridge” opened has been felt for the last fifty years. This presentation enables participants to understand the resulting forces that collided on Staten Island with the opening of the Verrazano-Narrows Bridge. 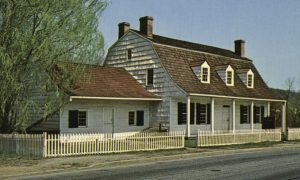 Staten Island was forever changed with the establishment of Barrett, Tileston and Company in 1820. An industrial legacy was realized and others joined in the prosperity. Through the 1960’s an array of products was produced on the island. From fancy papers made by Louis DeJonge and his company, to bars of Ivory Soap made by Proctor and Gamble, the island became known as an important location for manufacturing. The industries that thrived, their products, and their effects on the island will be discussed. S.S. White, the “Factory by the Sea,” circa 1900. 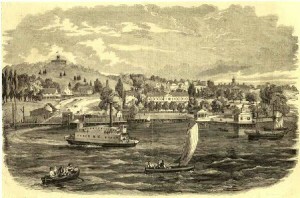 The Quarantine Station at Tompkinsville, 1858. Fascinating facts on the Irish-American residents of Staten Island, including scholars, journalists, educators, politicians, rebels, rioters and others are featured. Their impact on our borough and their lasting legacy are presented. Important events in Irish and Irish-American history that relate to Staten Island, including Irish immigration, the nineteenth century Quarantine Stations, the Draft Riots of 1863, and more will be discussed. A grand and interesting time will be had by all! 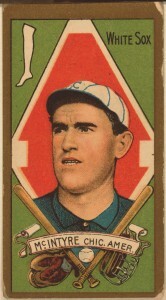 Irish-American baseball player Matty McIntyre, 1911. 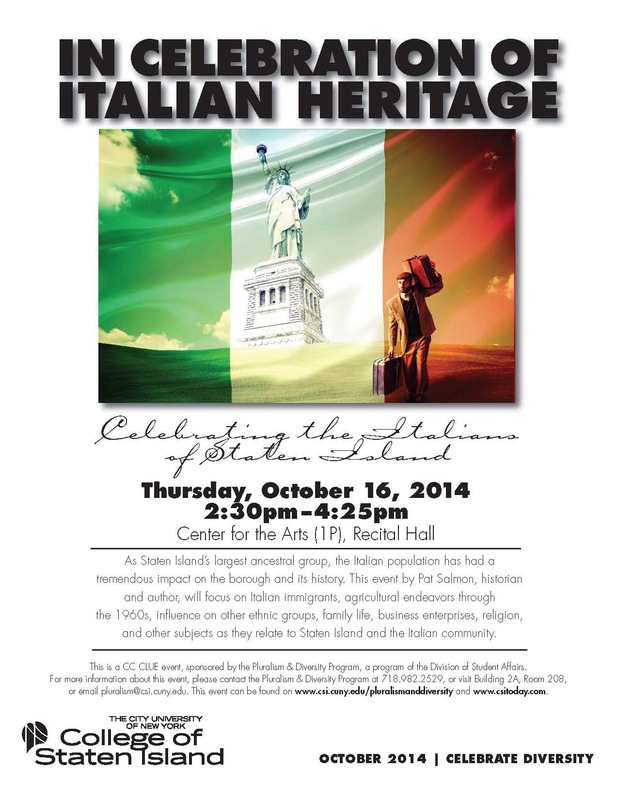 The Italian Americans of Staten Island! The history of Staten Island’s largest ethnic group will be presented. Topics include the Italian communities of Rosebank and New Brighton, feasts, religious institutions, food, Guisseppe Garibaldi and Antonio Meucci, and much more! The story behind the massive Italian migration that occurred just prior to the turn of the century will also be included. Ellis Island postcard, no date. When seventeenth century European settlers arrived they had difficulty planting and growing in unfamiliar territory. Fortunately, the native Lenape offered assistance. 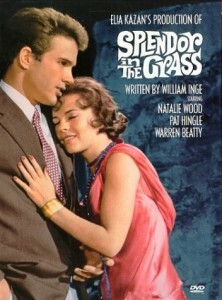 The successful agricultural community that resulted lasted until the mid-1960’s. Gentlemen farmers, including Frederick Law Olmsted and Dr. Samuel T. Akerly, arrived and made significant contributions to successfully tilling the earth. Their farming traditions would be added to and complimented by the growing techniques of immigrant Italians and Greeks at the turn of the twentieth century. 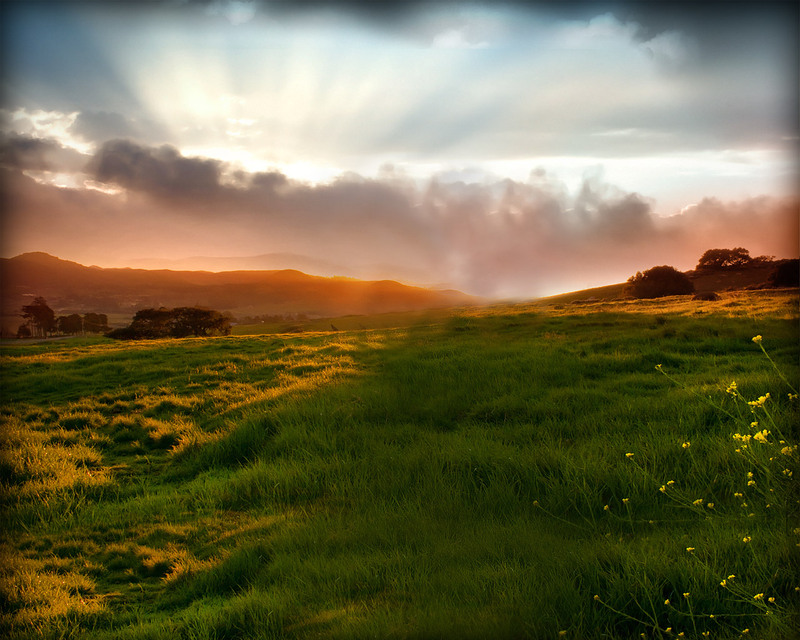 Discover our agricultural ancestors and how they lived off of the land. 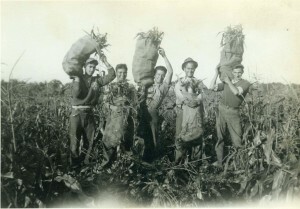 Greek farm boys gathering corn at the Chrampanis Farm, 1937. Courtesy of Cheryl Criaris-Bontales. German Americans of Staten Island!